This is a piece I wrote for the St.Davids Cardiff blog in which I am the resident Beauty and Lifestyle blogger. I thought I'd share it over here too for those who aren't from Cardiff too! January is the coldest month of the year and this plays havoc with our skin. Today I am sharing with you the best of the best to help you get a great Winter skin routine underway for face, hands and body. These products are little miracle workers that will keep your skin hydrated during these frosty mornings and dark nights and keep you looking and feeling great during the January blues. 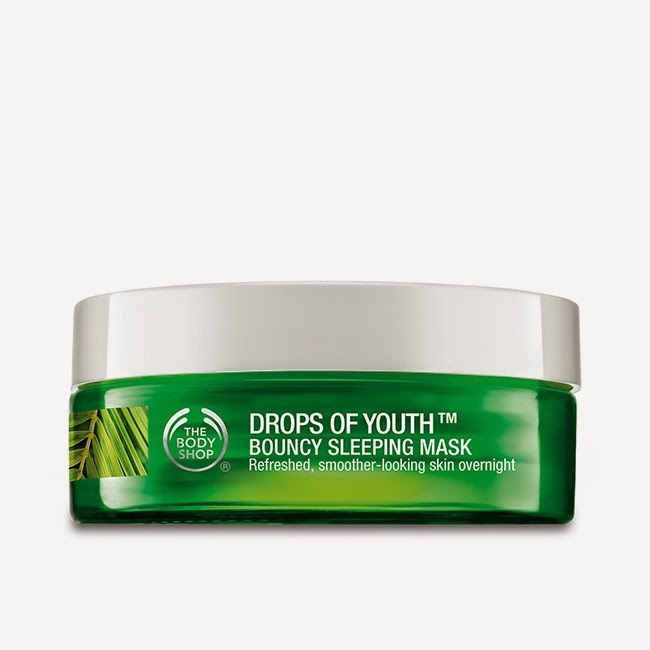 The Body Shop - Drops of Youth Sleeping Mask. This is brand new from The Body Shop, it's a light face mask to be kept on overnight using memory shape texture to replenish your skin and get it looking bouncy for the morning. 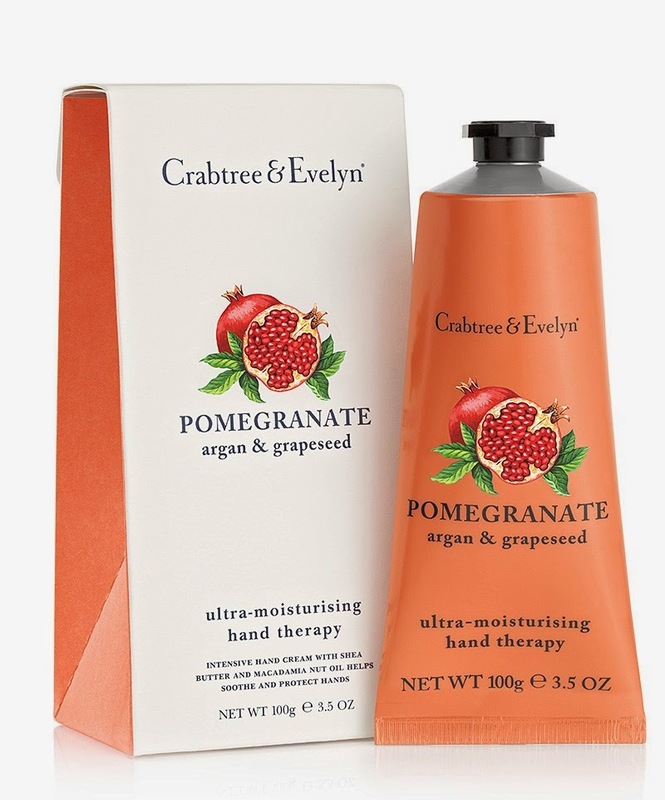 Crabtree & Evelyn - Pomegranate Hand Therapy. These Crabtree hand lotions are incredibly hydrating, quick to absorb and smell amazing! This is my personal favourite scent however there are SO many to chose from it's best to pop in and smell for yourself. 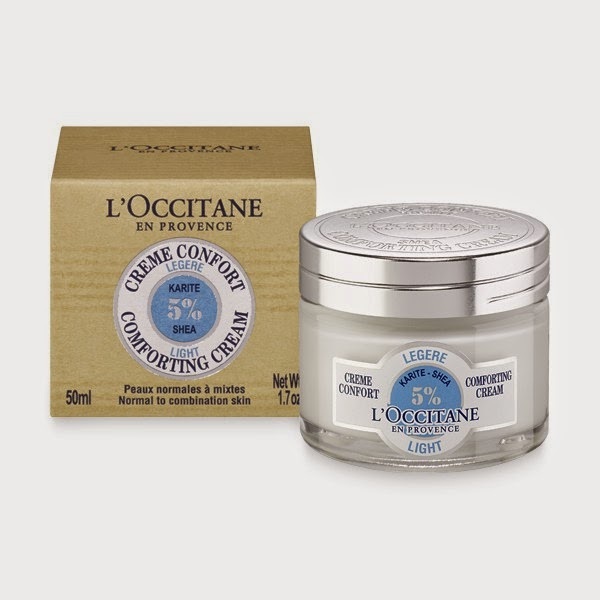 Brand new from L'Occitane, this incredibly hydrating face cream is made with 5% Shea butter, it great for sensitive skin and lasts upto 48 hours! 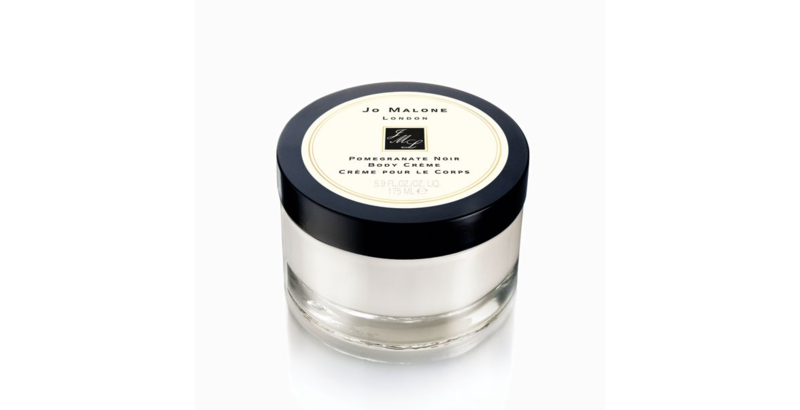 Jo Malone - Pomegrante Noir Body Creme. This is the ultimate in luxury skin care. This incredibly rich cocoa based body creme will keep your skin smooth and soft and is perfect after a hot soak in the tub. Again this scent is my absolute favourite however there are many to choose from, Jo Malone have incredible staff who will help you find your signature scent. 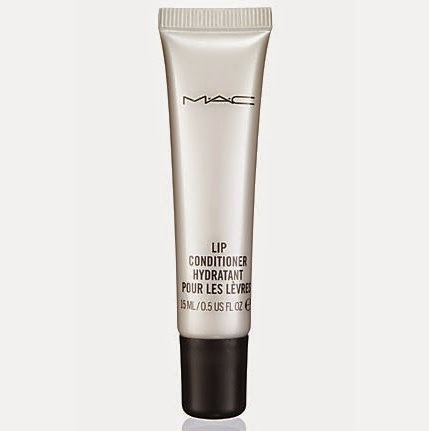 Lip Conditioner - MAC Cosmetics. This is the Queen of keeping your lips hydrated and a little goes a long, long way! I've used this since I was a teenager and never fail to go back to it everytime. Using Almond oil, shea butter and Avacado extract this repairs and seals your lips with the moisture it needs. These incredible products are sure to see you through these cold months keeping your skin hydrated day-to-night! You may remember me writing about some of The Body Shop's Wild Argan range before. I still swear by the lip balm I featured there, it's the only thing that has kept my lips super soft and smooth after a dry spell I'm currently still battling with, and it repaired them really well and also really fast. So when a couple more new products turned up on my doorstep I was excited to put them to the test too. The Body Shop Wild Argan Oil Body Butter* - £13 200ml. The body butter now comes in a bigger size of 200ml instead of 50ml which is obviously much better value and will now last forever as you only really need a small amount. The body butter is really creamy but also quite solid (i'ts not called 'butter' for nothing) so using only a tiny amount and then just taking the time to work in into your skin really goes far. It's really perfect for troublesome areas like knees and elbows. I also use it on the tops of my arms on my healed tattoos. Also, this stuff smell incredible! It's definitely not a subtle scent but it's really gorgeous and lingers for a long time. I'm usually pretty dubious about using body scrubs as they can sometimes be really rough on the skin, this one is actually really soft and the 'grainy' type feeling is coated with a kind of gel, I suppose is the best way to describe it. It's alot 'looser' than other body scrubs I've used but feel really gentle and also does the exfoliating job. I've used this a few times but it's one for the shower as I hate being left with the remnants of an exfoliator in the bottom of the bath! Using the Rough Scrub in conjunction with the body butter is the best way to get the best of both of these two products for extra soft skin - obviously! Have you tried any of the Argan range? What is your Body Shop must-haves? 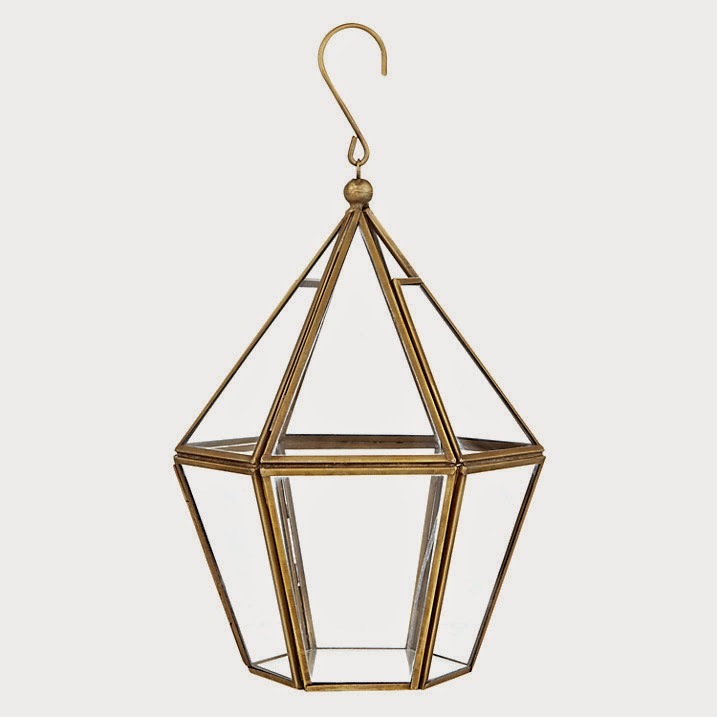 I love John Lewis homewares, although pretty pricey they always have some unusual pieces and great, simple designs and I particularly love their 'Fusion' range. I was given a £50 JL giftcard for Xmas from my Auntie (thankyou!!) which I have yet to spend, I'm on the look out for either the perfect piece to invest the £50 towards of a couple little bits that add upto £50ish. 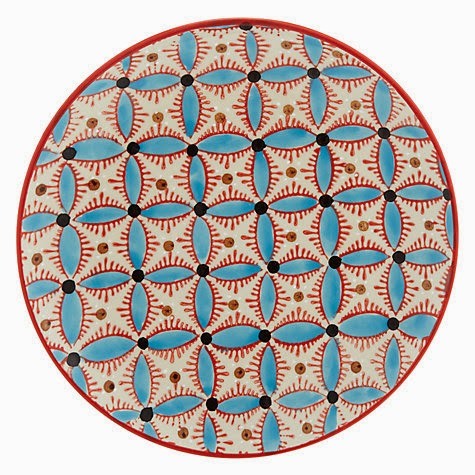 These plates come in 4 different colours, I love this blue the most though! I love a good mish-mash of plates. 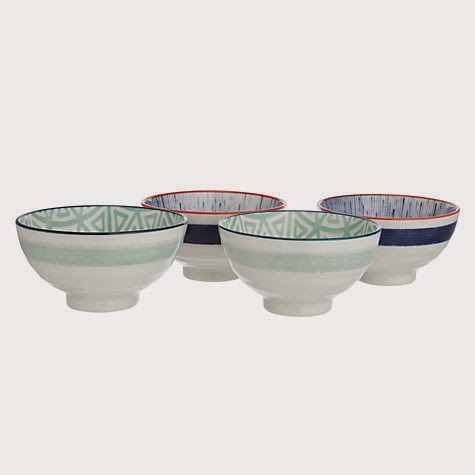 These set of 4 are so cute, I think they are pretty small but perfect for some soup or a little cereal snack. This would be lush in a living room or office. It looks huge in the inspiration photo too! 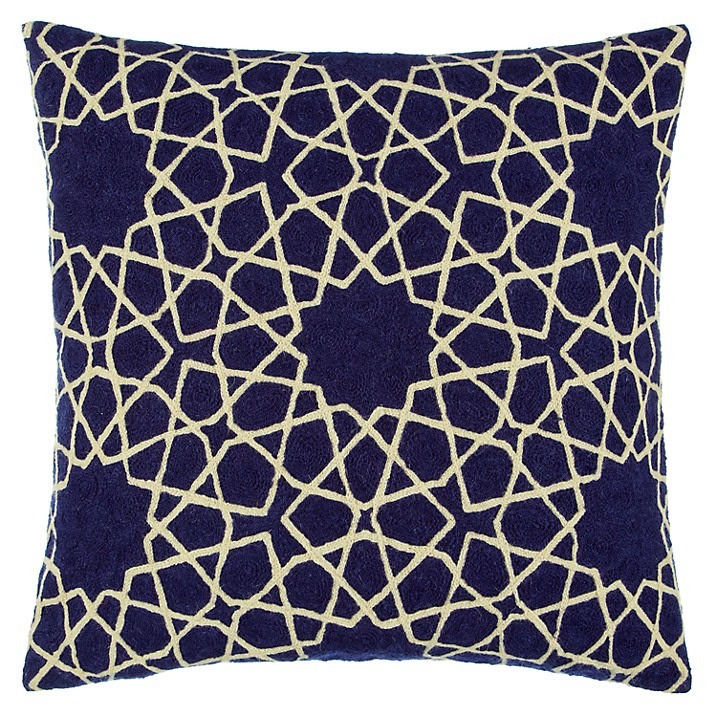 I hope for the price this cushion is HUUUGE but it's so so pretty! 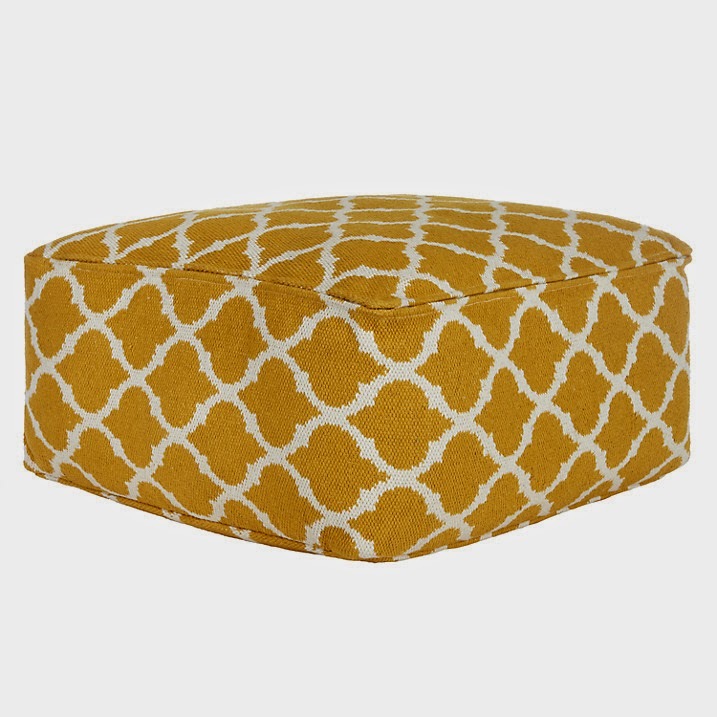 I'd love a pouffe, although I think this is a small sized one maybe Prince could make it his own little sofa :p! This would be such a beautiful living room piece. 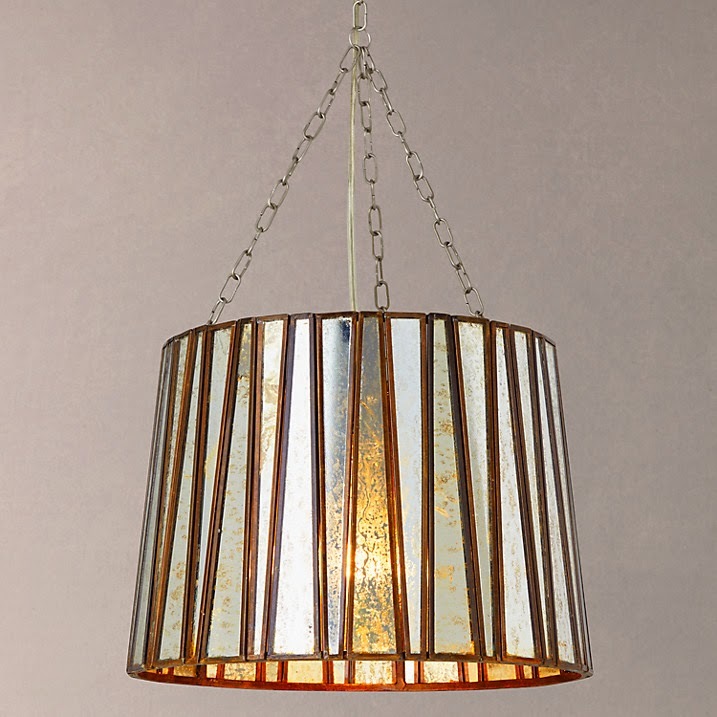 It's out of my price range for light shades however it is such a gorgeous design. This is such a cute idea, love myself a Terrarium and this is for tealights - perfect! 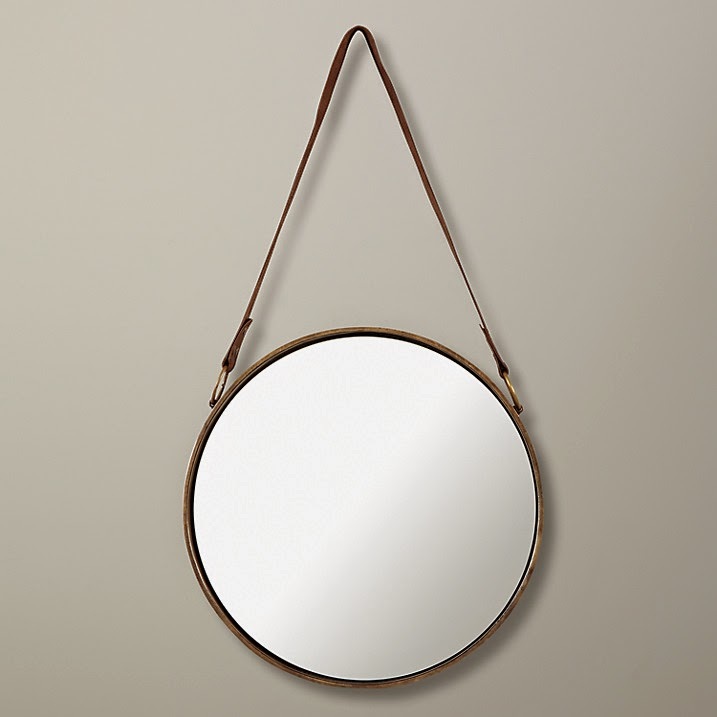 What do you think of John Lewis homeware? I am so so excited to share this post with you all, as you may have noticed my obsession with homewares has been present on this blog since the very sweet beginning and only grown bigger! As soon as I spied Flamingo Gifts on my two fave blogs (Temporary Secretary and Sara Waiste) I fell in love, they sell little bits from different designers at super affordable prices. What drew me in was it reminded me of all the little stores I love back home in Devon that sell lots of different interesting pieces from all over, for example the Folklore Teapot, my Mum actually bought for me as a gift last year from a similar store and I really love the print on this - it's so me and hold so much tea! I adore Wu & Wu's Kawaii style and this kitten is no exception. Ahhh I've been after a Pyro Pet candle for so so long! It's much bigger than I thought it would be which is a pleasant suprise. I haven't lit it yet as I love the shape of the cat but I also really wanna see the skeleton underneath!! This mug is HUGE which is good because I only like massive cups of tea. The detail is gorgeous and the duck-egg colour is just my ultimate fave right now. 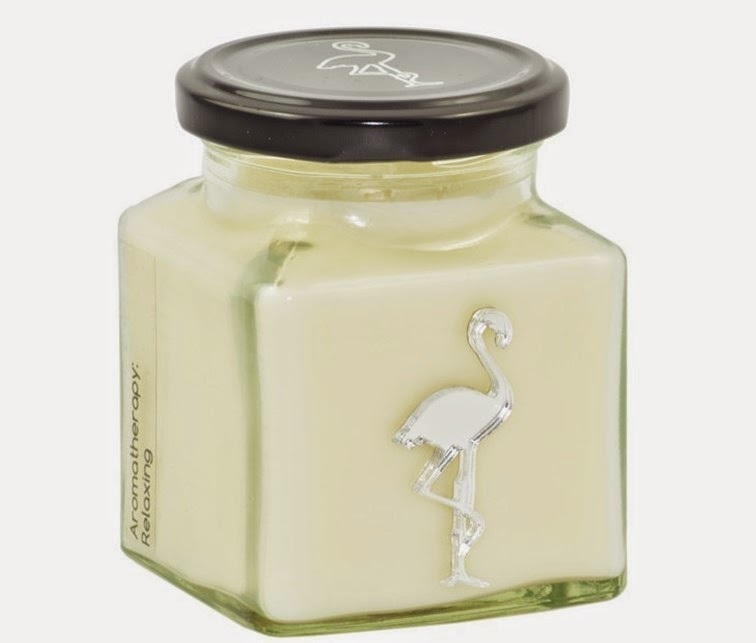 There is a HUGE range of Flamingo Candles. I'd never seen this Aromatherapy one before to help you relax - Lord knows I need this. 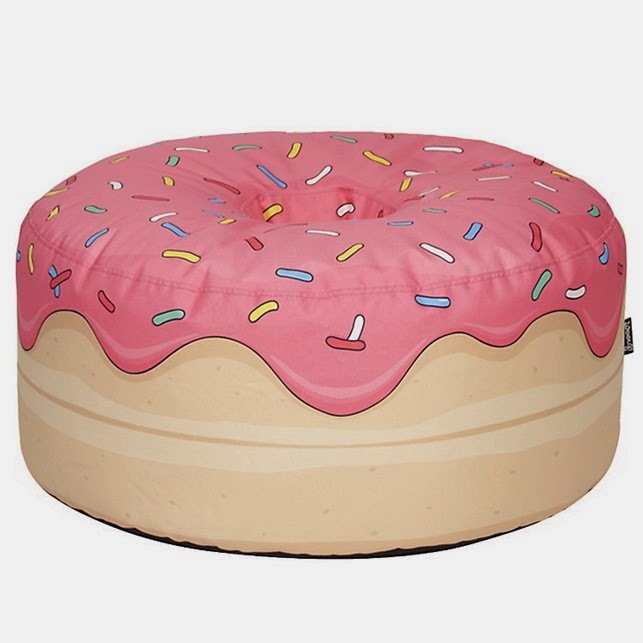 A floor cushion shaped like a doughnut! Necessary? No. But I lovee. 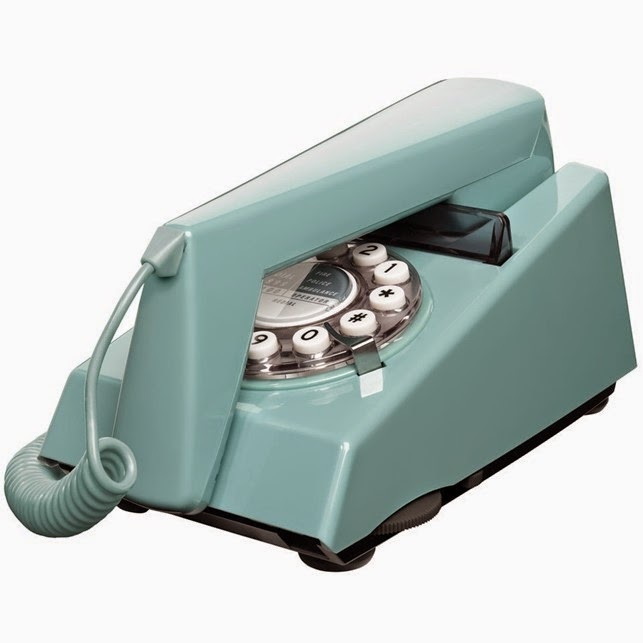 This beautiful Trim phone would make such a great side-table piece. This day and age most people my age don't have house phones but you can definitely use it for decoration! 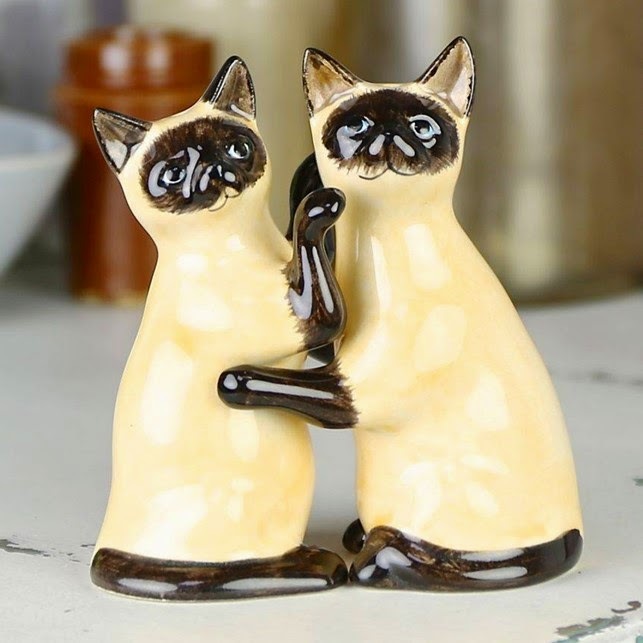 Best salt and pepper shaker I've seen. Hands. Down! What do you think of Flamingo Gifts? I can't wait to see what new stock they bring in this year! Well this weather is freaking gross! I've been swept sideways every day, had NO snow and been soaked constantly! Lucky for me I bagged myself a Rains rainproof coat for Xmas so I'm dryyy (well my top half anyway!). The coat is short enough to look good with a skirt, tights and boots but also long enough to cover me enough if I'm wearing leggings and a baggy top to work with trainers. I also got a Fjallraven Kanken backpack which I featured in my Christmas post. This too hold off the rain keeping my essentials totally dry. "If you want a Rainbow, you gotta put up with the rain!" - Preach it Dolly! I got these rip-off Timberlands from Primark for a quarter of the price. They serve me so well and also keep the rain off! 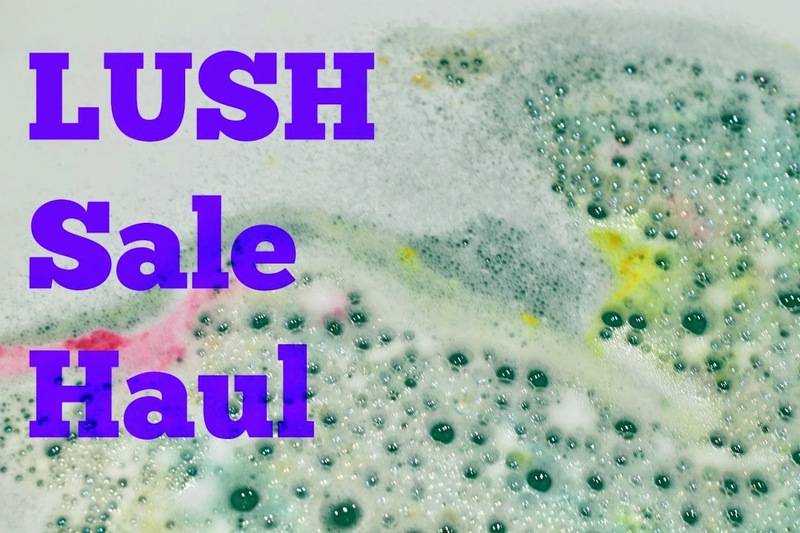 Today I want to share my latest video which I filmed last week when I received my LUSH January sale purchases. I got super excited and decided to film it all! So my videos keep coming out a bit blurred, they are in focus when I start filming and when editing on iMovie they look totally fine but as soon as I upload them to Youtube they got all weird :( It's getting me down and getting in the way of me having patience to vlog. I'd love any advice anyone can give me! Anyway thats my LUSH Haul and I'd love to know if you picked up anything in the sale too? The Library of Fragrance are "single scent" cologne sprays that are set out to remind us of our favourite, most unappreciated every-day scents. Most fragrances are just a scent using many different 'notes' however these are linear and don't change over time on the skin and just simply smell like what they are set out to - which makes them all pretty much Unisex too! For example if you love the smell of Baby Powder - then they've got a fragrance just for you! Now, there are some very weird ones such as Mushroom, Holy Water (wut?) and Pizza (nooo girl!) that I don't want to try. There are also some interesting ones that I definitely do want to try such as Steam Room, Fireplace and Thunderstorm. There are over 101 scents to chose from and you can layer and experiment with them all to create your own unique scent which is pretty awesome! Anyway, what the hell does a Moonbeam smell like?! Let's set the mood, imagine looking out at a huge lake on a clear, warm Summer night in a wooded area, there is a full moon hanging low in the sky that almost seems to meet the water creating a shimmering path. This beautiful sight is very magical and delicate much like the fragrance so I can totally see how this got it's name. Moonbeam is a very subtly sweet scent with a deep base so it's very hard to describe. The website says it was inspired by a Shelley poem and 'wanted to capture the dual nature of the moonbeam, reflecting elements of both the innocence of light and the passion of night...' which I definitely get from this scent! Moonbeam is available at Boots and is £15. Have you tried any of the Library of Fragrance?